This is the story of one user who found out how to set up two VT’s after scanning 10 chapters of the manual for clues. 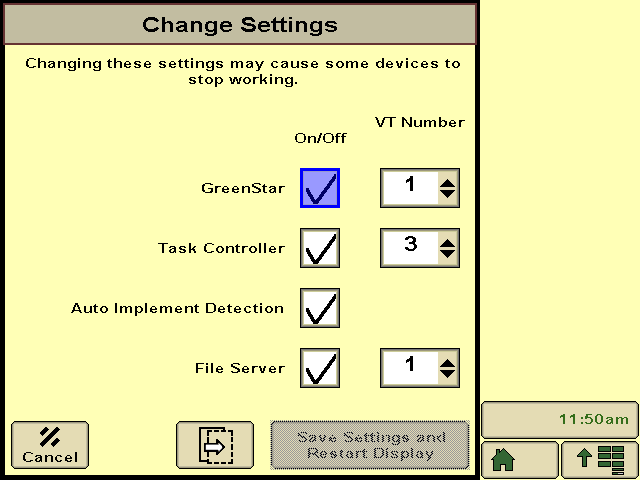 The tractor’s VT, in this example a John Deere 2630, already had Task Controller (mapping software) unlocked, unfortunately it did not have Section Control functionality unlocked. Rather than paying hundreds or thousands of dollars for the unlock code, (The farmer had a VT with unlocked section control available) the logical thing was to add in the second unlocked VT. Unfortunately, when this was done, the second VT reset itself repeatedly when the task controller was enabled. 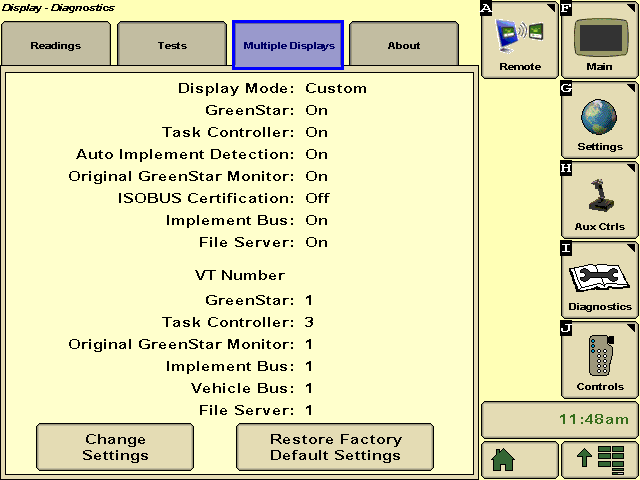 After the fact this all seems simple enough, and Agtron has a lot of experience working through similar ISOBUS issues. The answer to adding increased functionality may be found in the increased use of android and apple tablets as stand-alone solutions, such as with our LEGEND rate and blockage monitors.